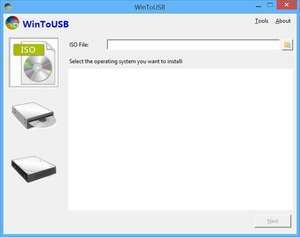 WinToUSB is a free software that allows you to install and run Windows operating system on a USB hard drive or USB flash drive, using an ISO image or CD/DVD drive as the source of installation. If you have a Windows installation source (a DVD disc, an image file) and a valid Windows product key, you can use WinToUSB to install Windows on your USB drive. For security reasons, you should also check out the WinToUSB download at LO4D.com which includes virus and malware tests. Additional screenshots of this application download may be available, too.